Giveaway ends July 27, 2012. 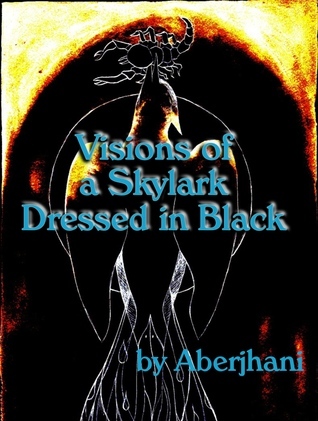 Visions of a Skylark Dressed in Black made its publishing debut in Great Britain in 2006 with a limited release electronic edition. The current U.S. launch marks the first time the title has been made available in multiple formats through widespread distribution channels. The book giveaway on Goodreads is one celebration of that fact and the daily blogs featured on Creative Thinkers International also represent a salute to the book finally making its way to an international audience. Both the prose and the poetry remain astonishingly relevant in their evocation of humanity struggling to overcome its dependence on the drug of war, adapting to extreme climate change, and holding fast to those qualities, inclinations, and grace that adorn life with moments of breathtaking wonder. All websites are works in progress because they require routine updates to maintain their relevance and continuously attract interest. But they are also works in progress because the ever-evolving techno-verse constantly forces sites and the individuals who manage them to adapt to the trending flow of technological innovation just to remain functional. Therefore, I’m happy to acknowledge the launch of this new version of Bright Skylark Literary Productions as a fun-filled work in progress. I might also refer to it occasionally as The Weebly Experiment for reasons that are pretty obvious. Visitors familiar with my work from Creative Thinkers International, PEN American Center, Facebook, Twitter, Red Room or elsewhere (shouldn’t leave AuthorsDen or Goodreads out) know I have quite a few projects shaping up already. One of the biggest, I should mention, is the fifth anniversary celebration at Creative Thinkers International. As the dates of different events approach, I will share more about them in the News and Events sections as well as in this particular space. This website was initially slated to serve as a support vehicle for only one project; namely, the publication of the first U.S. edition of Visions of a Skylark Dressed in Black. However, as the flexibility and potential so graciously provided by Weebly became more apparent, it seemed a good idea to widen that limited scope and test a few more possibilities. Taking a hint from social network friends, I’ve included on this site a collection of quotations from my writings. It also features an illustrated bibliography, list of article links, selection of poetry, and the VISIONARY VIBES BLOG, which you are (hopefully) reading right now. Exactly how far I’m going to be able to take all of this is hard to say, but I’m going to give it my best shot and hope to share some very interesting adventures in the process.